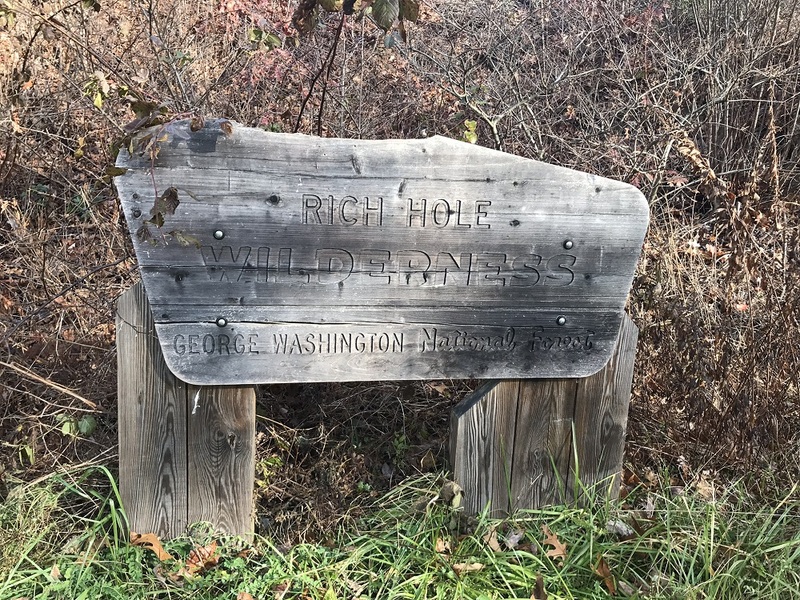 The Rich Hole Wilderness is perhaps Virginia’s most accessible federally designated wilderness, located just off of Interstate 64 west of Lexington. One trail cuts through this wilderness, and it must be hiked as either an out-and-back or with a car shuttle. 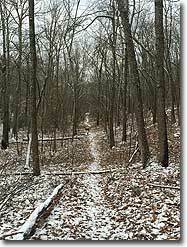 Although you can start at either end, the stiffer climb is on the northern end of the wilderness. Because the northern end is the more interesting part of this hike, we recommend you start and end here, which gives you more flexibility on the hike’s length. 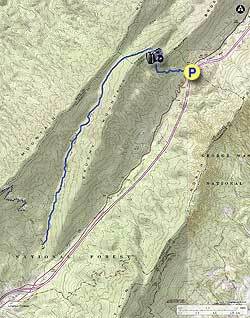 There are no established campsites along this route, though camping possibilities exist. 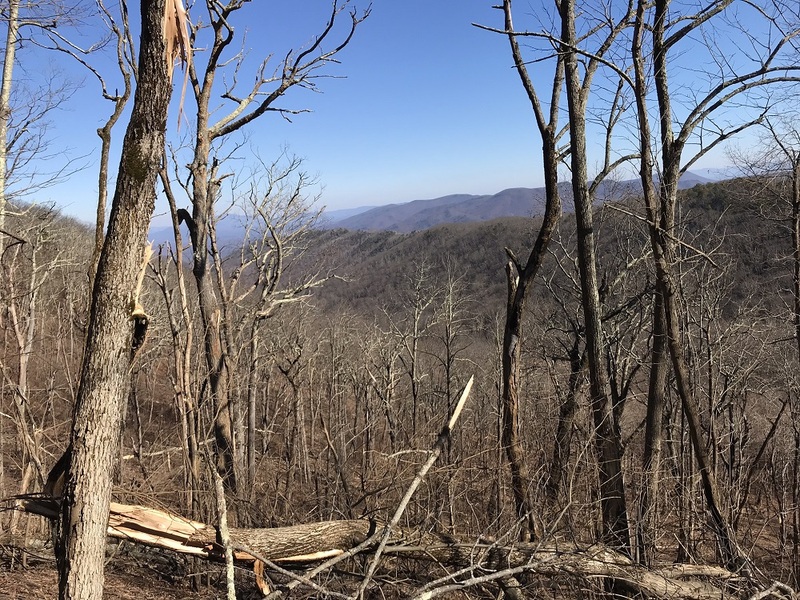 This area was designated federal wilderness in 1988 and comprises 6,532 acres, making it the seventh largest National Forest Wilderness in Virginia. 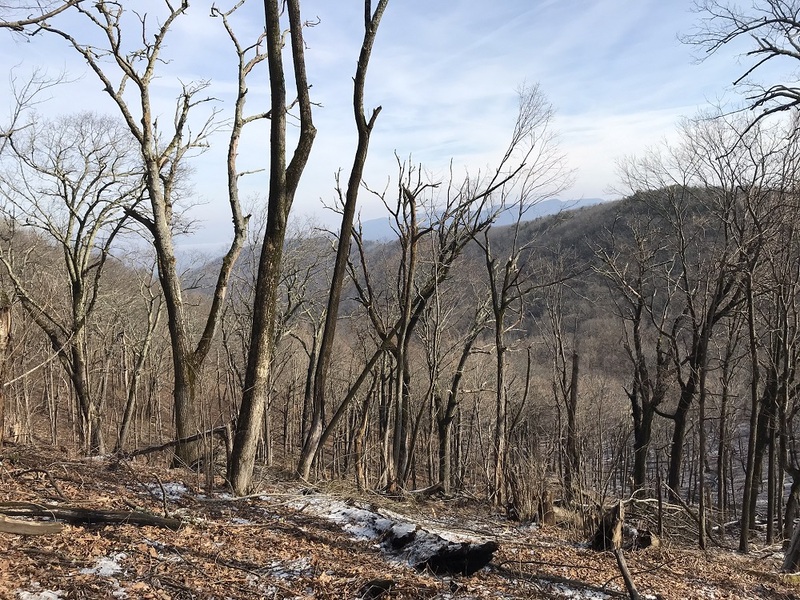 A bill is in Congress to expand this wilderness to over 11,000 acres, which would make it the second largest contiguous wilderness in the commonwealth. 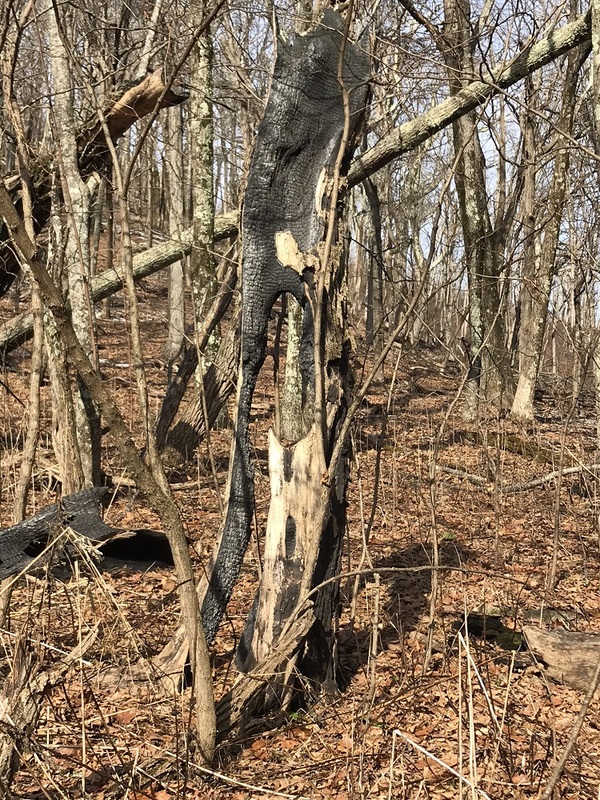 Despite its proximity to the interstate, it is seldom visited outside of hunting season. 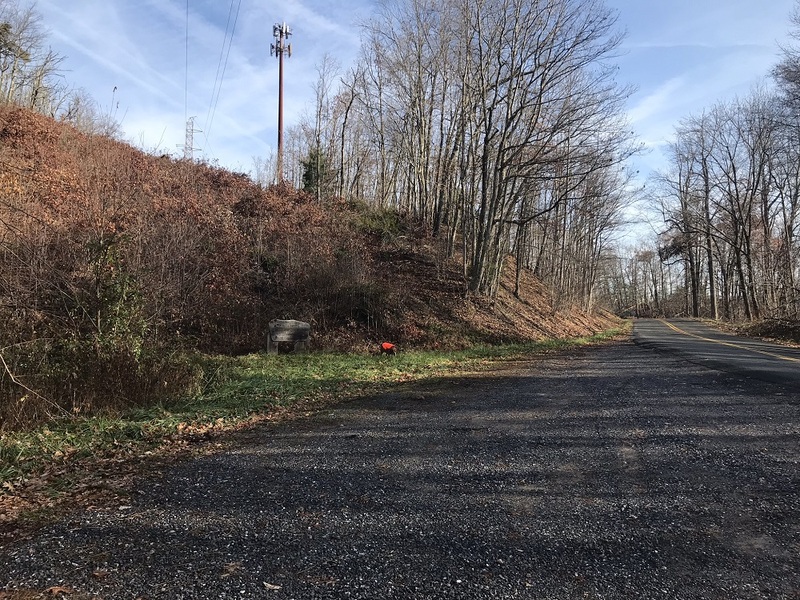 Mile 0.0 – Park on the side of County Road 850, just west of the Rockbridge County/Highland County line. 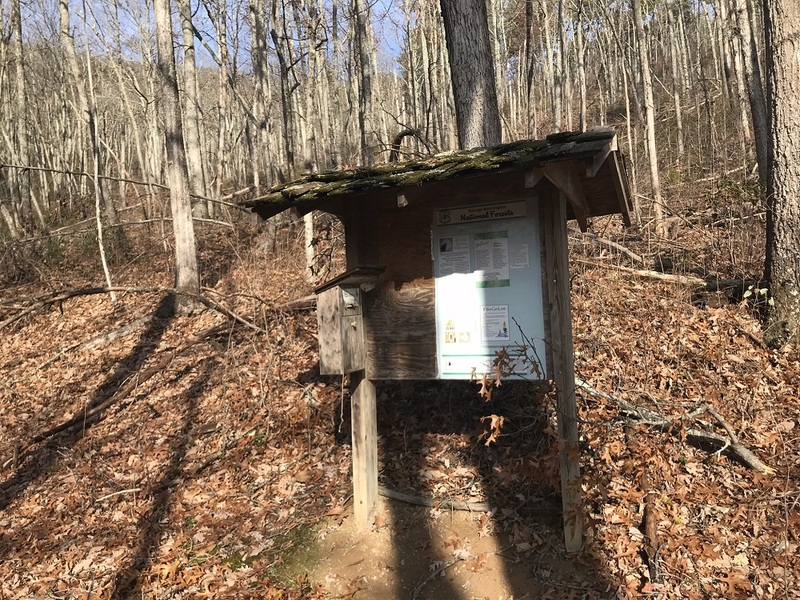 There is a wilderness sign here and a kiosk visible from the road, but the parking comes up fast, so watch for the Highland County sign when driving to the trailhead. 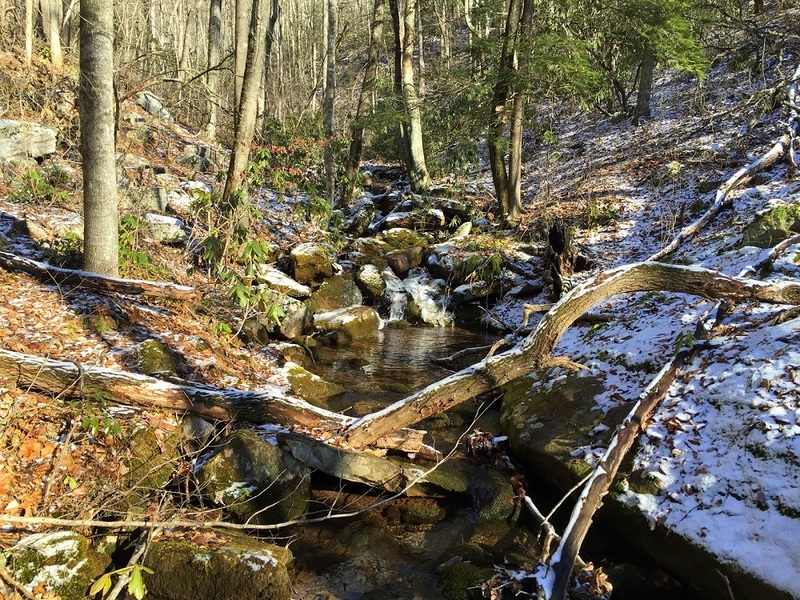 Mile 0.1 – Pass a small creek just after a trail kiosk. 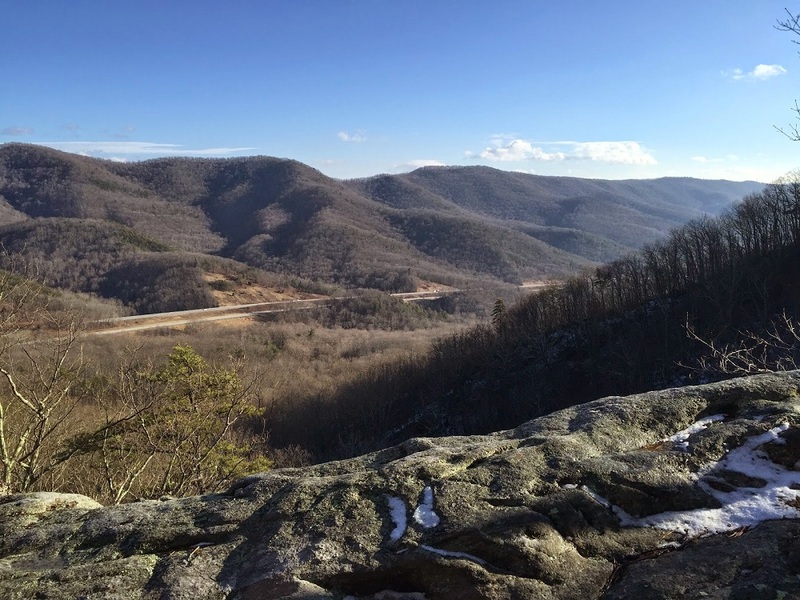 Mile 0.6 – A large boulder on the left side of the trail provides a wonderful view of North Mountain and the Simpson Creek valley through which Interstate 64 traverses. To the right on North Mountain is a set of radio antennae, located near the start of the Pete’s Cave hike. This is the best vista on this hike. 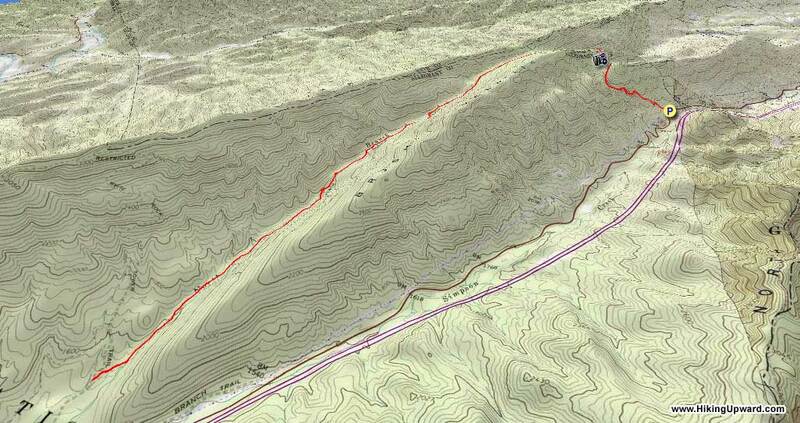 Mile 1.0 – After the vista, you will climb along the edge of the Simpson Creek headwaters. Along the way, look for evidence of the April 2012 fire that devastated much of this wilderness and continues to affect trail conditions today. Fortunately for us hikers, this trail has a very dedicated trail maintainer. 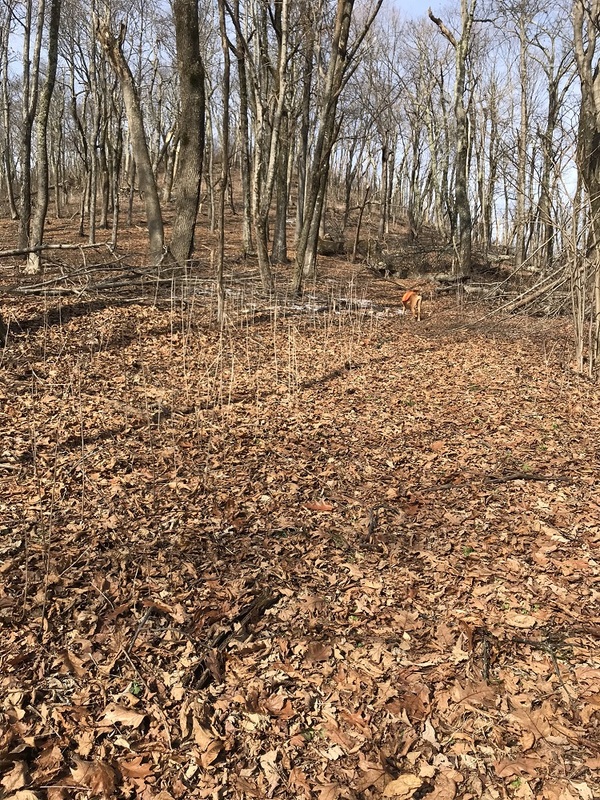 Of the three times Hiking Upward traversed this trail in preparation for this write up, we encountered the trail maintainer twice and helped him with trail work once. Trail workers were the only other people we ever encountered on this trail! At this one mile mark, the trail reaches a ridge and takes a left turn before an exceptionally steep climb on the ridge. Halfway up this climb, a break in the trees allows for a view to the north towards Goshen Pass and Great North Mountain. There are no blazes on this trail, as it is nearly entirely within federally designated wilderness. Should you have any trouble following the trail during this climb, remember keep to the right side of the ridge as you climb and look for a depressed line of ground, which is the trail. 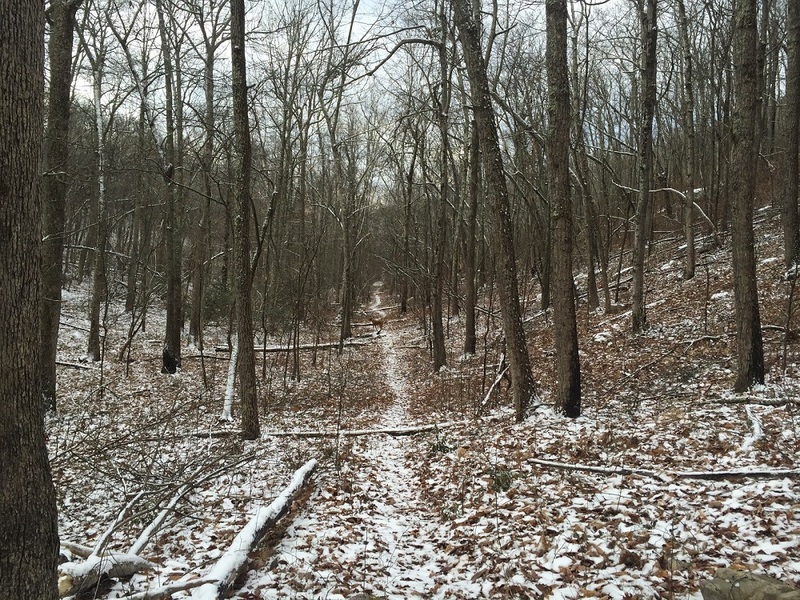 Mile 1.2 – The trail reaches its highest point as it curves to the left onto the north slope of Brushy Mountain. 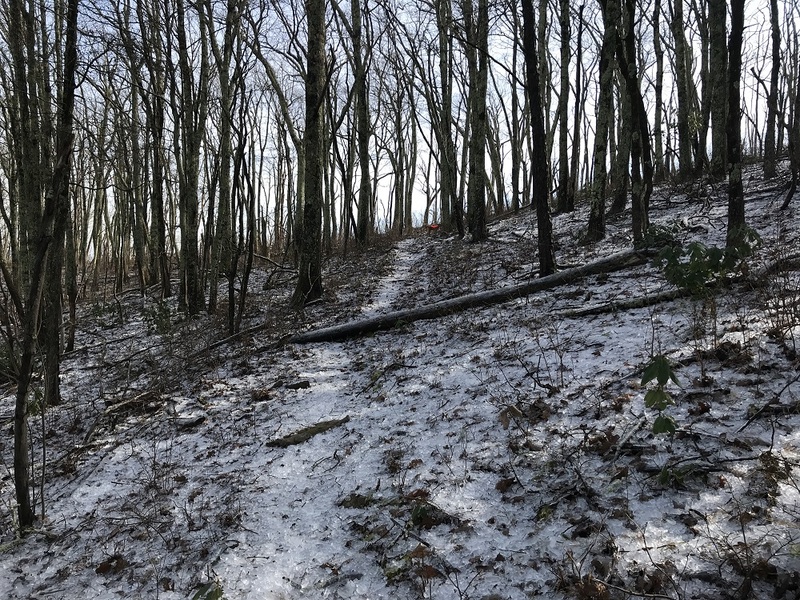 Because the trail now follows the north slope, it can become very icy during the colder months, even if it has been dry and clear until now. From here, the trail slowly descends in a valley over the next five miles. Mile 1.9 – Cross North Branch Simpson Creek. There will be 15 additional crossings over the next 4+ miles, and the same number of crossings on the way back. 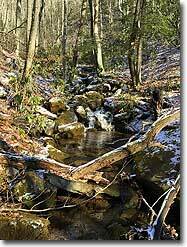 You may think that the stream is the trail at times! Anticipate wet feet, and do not consider this hike when water levels are high. Or, if this hike is out-and-back, turn around whenever it suits you. 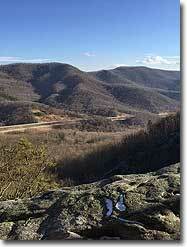 There are no more views along this hike, just a peaceful trek through a wilderness valley. Mile 6.1 – Reach the shuttle parking lot. Turn around here to return to your car if you did not drop a shuttle car here.